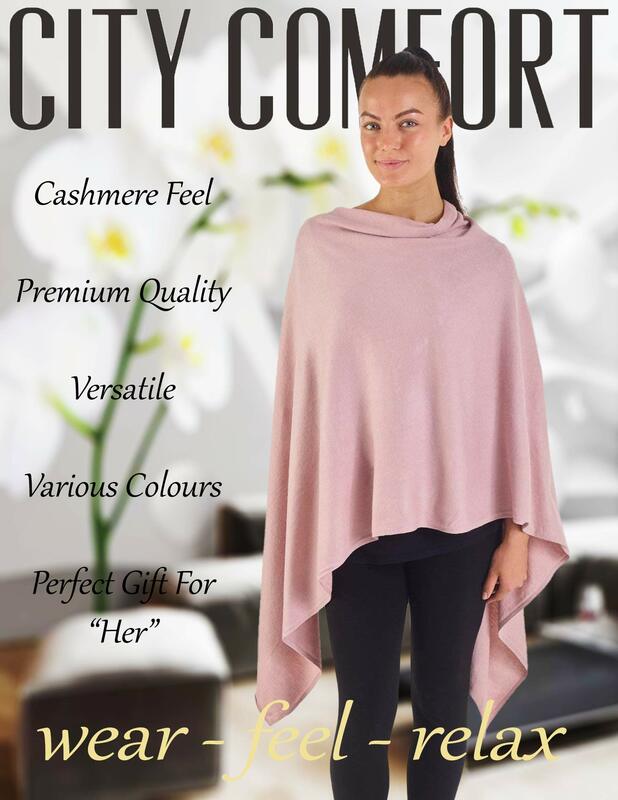 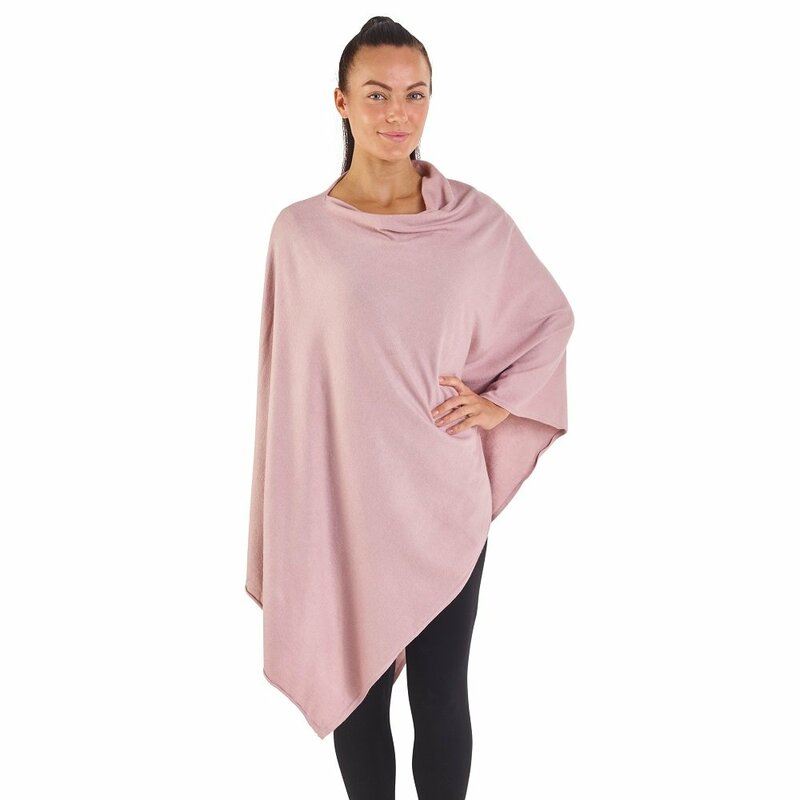 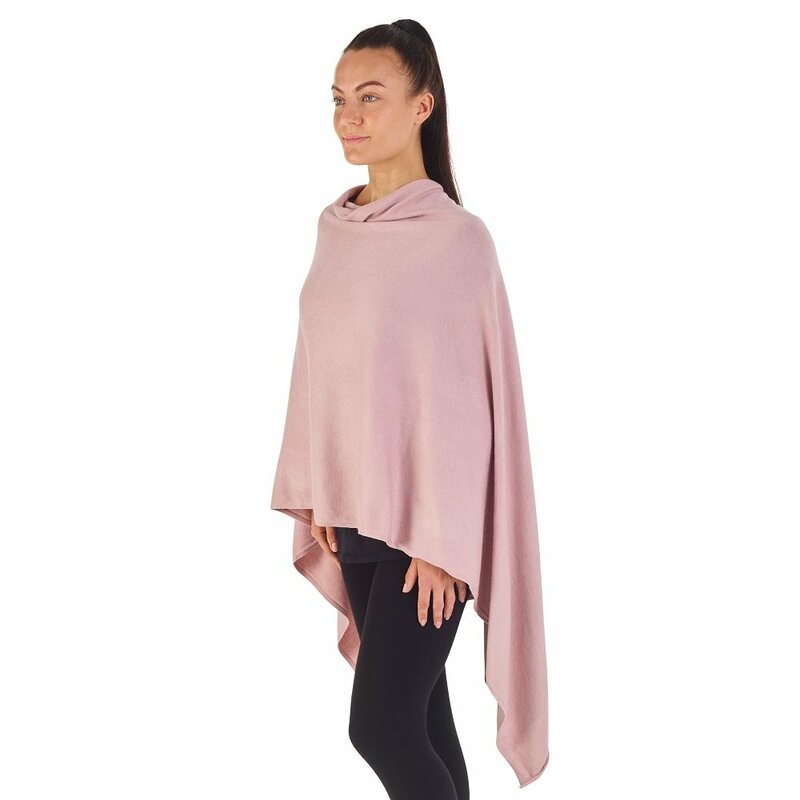 This poncho is lovely , it feels so soft , it deffinately has that more expensive Cashmere Feel and when wearing i felt really warm but its so light , it would be perfect in the summer evenings too, the fact i can have this poncho in 3 different styles is brilliant , i can wear on the school run , wear to work and wear when i go out for a meal with my girlfriends . 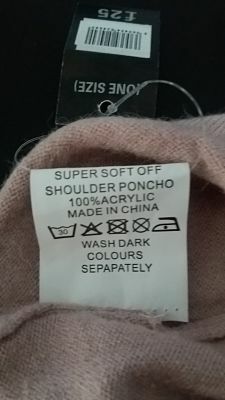 I have found this disapears when i hang it with my coat as my daughter often wears it and ive even found my husband asleep on the sofa with it on, his excuse was its feels snug . 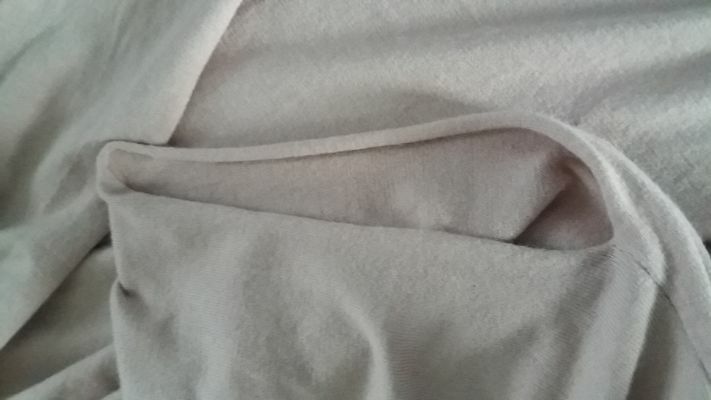 The head holes looks a little small but the material is stretchy enough for my husband fat head to fit through and he didn't stretch it in any way , this is really lovely . 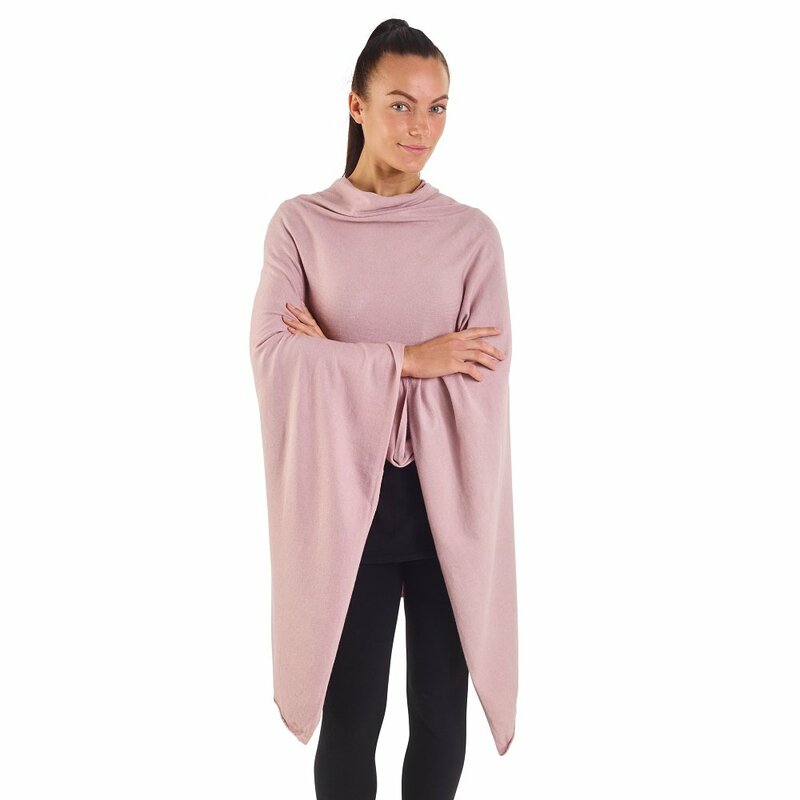 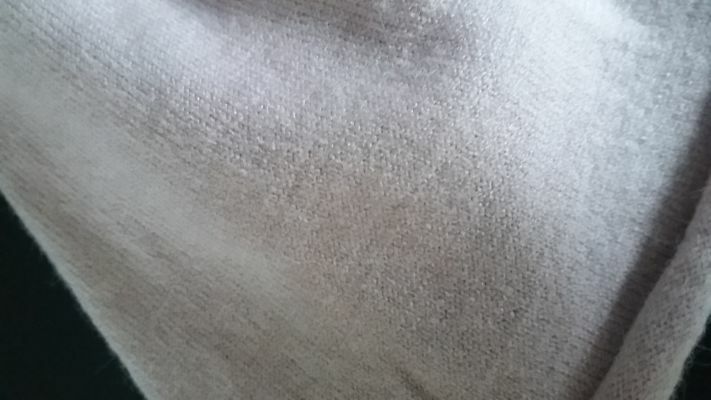 I went for the pink beige one and it really goes well with jeans and my work clothes , the colour really compliments the other clothes and my friends alway comment on how smart i look .